It drives me crazy to open a cupboard, drawer, closet, etc. and find a cluttered, disordered, jumbled mess. So what do you do with curling or flat irons and the twited, snarled unkempt cords? I sat down at the sewing machine and whipped up a little cover that can hang on the inside of the cupboard door (with one of those adhesive mounting/removable hooks) and it keeps everything tidy. 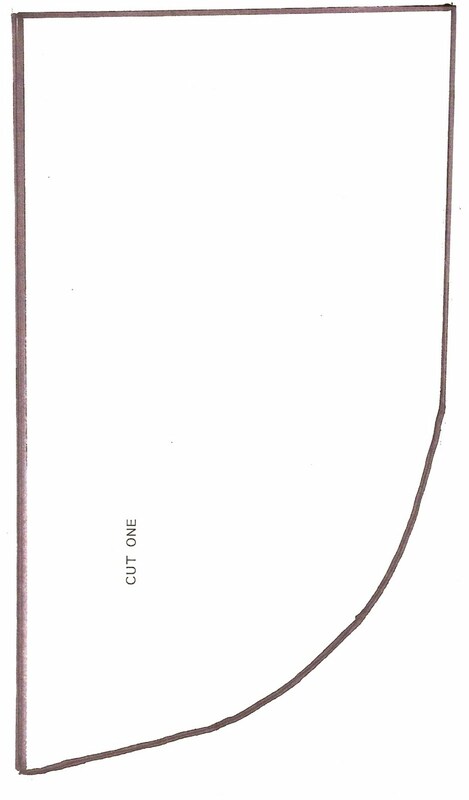 I have included a copies of the hand drawn patterns--here: This is the curling iron main holder main. Print this full size on a 8.5" x 14" legal size paper and it should be the correct size. be the correct size. It will not fill the entire sheet of paper. MATERIALS: Fabric of your choice (use scrap fabric leftover from another project--you don't need much), double fold bias tape to match fabric, thread. Cut two of the curling iron main holder on the fold. Cut one of the pocket. Lay the pocket onto the holder and cover all raw edges with bias tape and sew. Make a loop at the top to hang from the hook. These make great gifts for all the girls in your life! I can't sew worth a darn and have more thumbs then fingers!! This looks pretty easy to assemblr even for me!! Thank you for commenting on Katz's Jewelers!! I like that idea. I hate messy drawers too! So adorable...I needed one of those yesterday. Very cool! My drawer is cluttered and this looks easy. Thanks! Stopping by from the Alexa hop. Those are so cute! I don't use a curling iron, but my mom uses one, and a flat iron, and something else. I can barely sew, but I might try these! Visiting from the Alexa hop! A new follower & just now seeing this great idea... Thank you for sharing. Have you seen my hair dryer/curling iron/flat iron drawer? Lol.. I will have to give it a try.